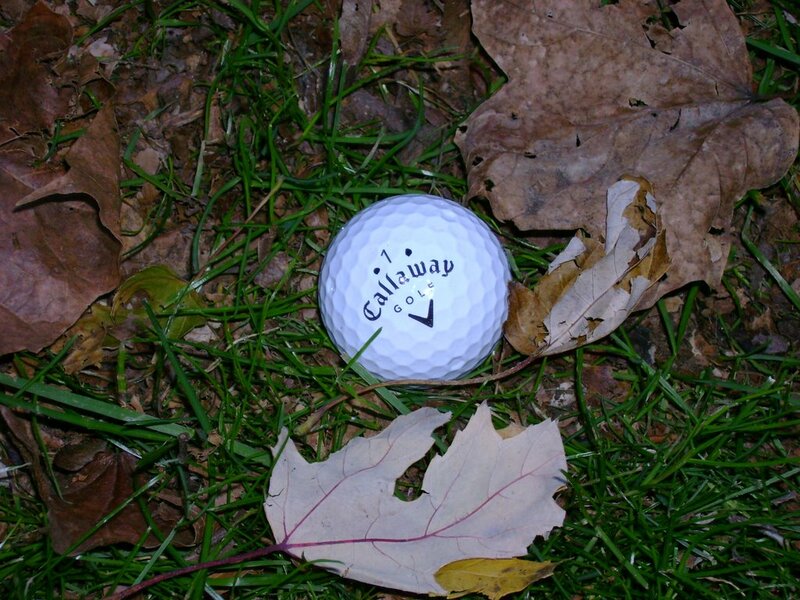 The golf season for the North is slowly coming to a halt as the snow creeps closer and closer The final Saturday rounds take place on aerated greens and rough covered completely with leaves. Aside from the thrill of new sticks or shirts at Christmas, and possibly a "blue ball" snow golf event, the season is dying fast. I played one of my final rounds today on a totally empty course, which is quite a tranquil place when the buzzing of carts and screams of golf outings are missing. What a way to go out, if it was my final round this year, on a perfect day at 65 degrees and sun shine. Fall golf may not yet rival summer for me, but cool temperatures and empty courses certainly does hold some appeal. My only problem today was a disgusting number or lost balls; casualties to the thick carpet of leaves lining every fairway only to add some more difficulty. Of course some of us are lucky enough to live or head South in the winter, greatly extending the number of playable weeks. So, the next question comes to mind: How do you battle Jack Frost? Sure, heading to some rubber ranges that remain open all season does let you feed the golf bug, but does anyone have any other creative ways aside from bundling up? 0 Response to "Fall Golf: Winter on the Way"